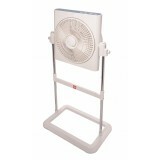 FEATURES: 3-speed and ON/OFF switch Wireless remote control Revolving front louver Opaque plastic blade 1/f Yuragi function Ultra-thin wireless remote controller 8-hour electronic timer Height adjustable: 78cm-96cm (31".. 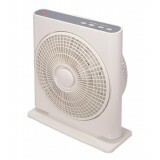 FEATURES: 3-speed and ON/OFF switch Wireless remote control Revolving front louver Opaque plastic blade 8-hour electronic timer 1/f Yuragi function Ultra-thin wireless remote controller Revolving front louver Colours: Grey .. FEATURES: 1/f Yuragi function Height adjustable: 78cm- 96cm (31"-38") Adjustable tilt angle: 45º Colours: Grey or Lavender 3-speed and ON/OFF by electronic switch Revolving front louver Opaque plastic blade 8-hour electronic t.. 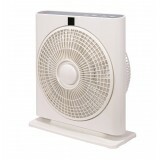 FEATURES: 1/f Yuragi function 3-speed and ON/OFF push-button switch Revolving front louver Opaque plastic blade 8-hour electronic timer Colours: Grey or Lavender BOX FAN 30CM W/ TIMER Desk Type ..